Located near Klevan in Ukraine, the Tunnel of Love is a part of industrial railway that links Orzhiv with Klevan. 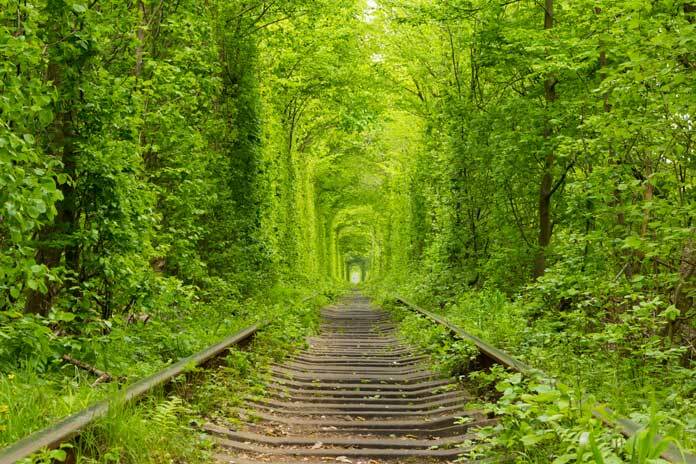 The rail is 3 kilometers in length and what makes it exquisite, is the green arches that surround it. This green corridor attracts many photographers and couples from all around the world to capture spectacular pictures. According to some beliefs, if a couple comes to the railway and makes a wish sincerely, it will become a reality. For the real epitome of “standing between heaven and earth,” go to the world’s largest salt flat in the southwest of Bolivia. Salar de Uyuni is very famous among travelers, and it’s no mystery why. 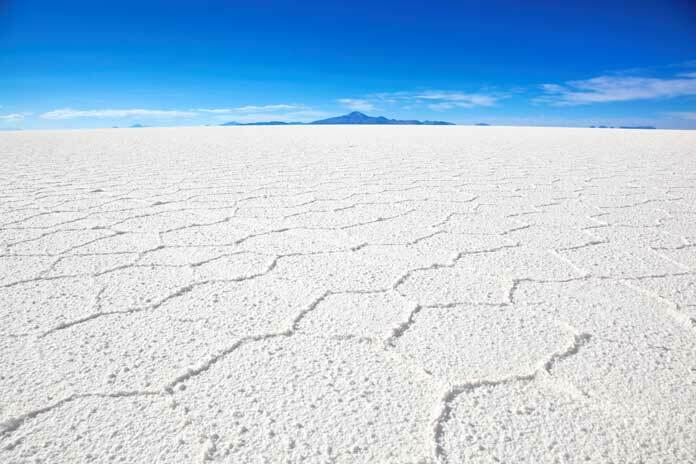 The history of the formation of Salar de Uyuni goes back to the pre-historic time when the lake went dry and turned this area into one of the most awe-inspiring spectacles in the whole of South America. If you are visiting this place, make sure your guided tour is a trusted one. It is common to hear about fatal accidents due to unsafe drivers and vehicles. And you do not want that to happen to you! Have you seen a flower paradise before? Well, if you have not seen one yet, you should book a flight ticket to Japan as soon as possible. 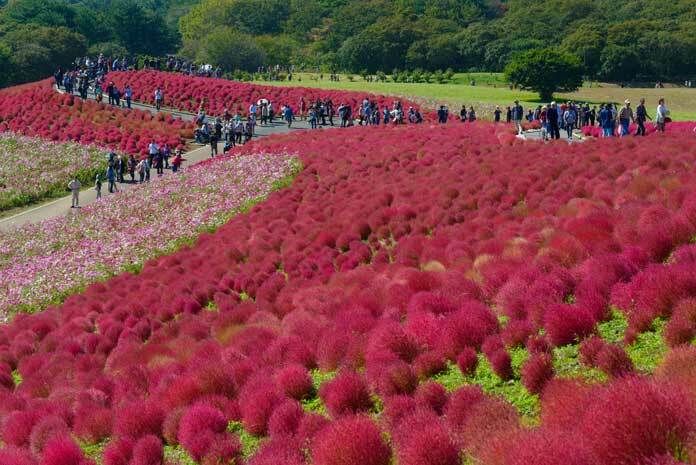 The location of Hitachi Seaside Park is two hours away from the bustling city of Tokyo. This park is full of a palette of colors that turn every season. You can see the beautiful baby-blue flowers in the spring. In summer, the clusters of green shrubs in the shape of cute cotton balls will change into dark crimson color. Isn’t that amazing? For the lovers of pink-colored things, you should head over to Western Australia because that is the place where you can find a lot of lakes with water in the pink shade. One of the most famous lakes in the country is the Lake Hillier, situated on Middle Island. 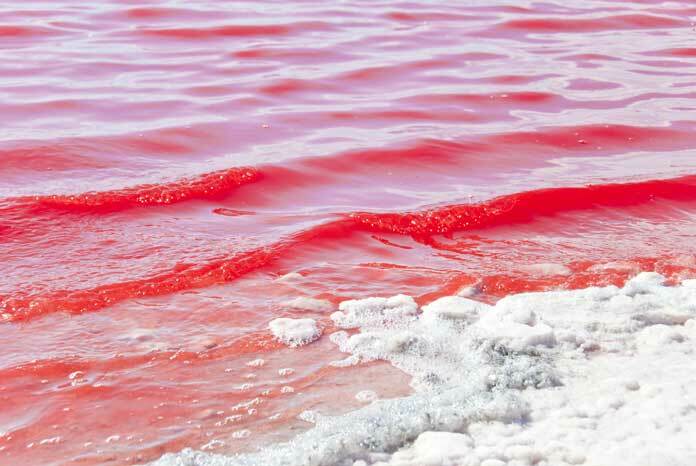 The lake is about 1969 feet long, and from above the lake will look like a solid pink bubble gum. Dense woodland of eucalyptus trees and a rim of sand surround this lake, making it look exquisite from above. The Canola Flower Fields in China is a spectacular place to visit. 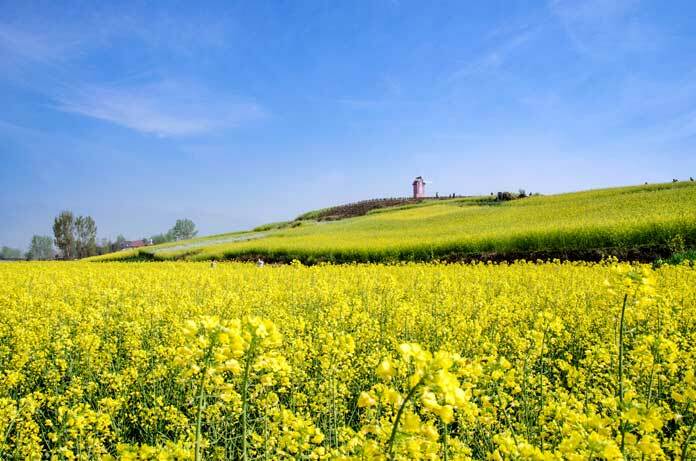 With rows of canola flowers, you will witness a breathtaking view of “Golden Sea” in early spring season. Located in Luoping in Yunnan province in southwest China, the best time to visit this area is from February through March. There is a visual fiesta during this period, and unfortunately, by June, the show is already over. This cave is also commonly known as Son Doong, and it’s the largest cave in the world. 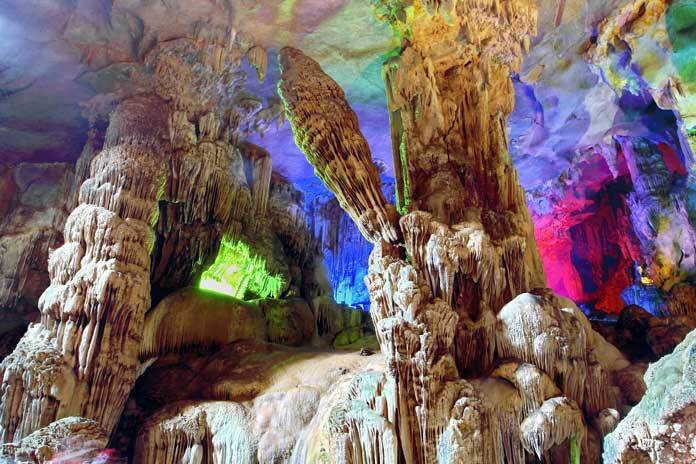 The cave was discovered in 1991 and is situated in the Quang Bing province in Vietnam. This cave is so gargantuan with its jungle and river, and length of more than 5.5 miles long. The cave is so massive that it is said that you can even build skyscrapers within its walls. 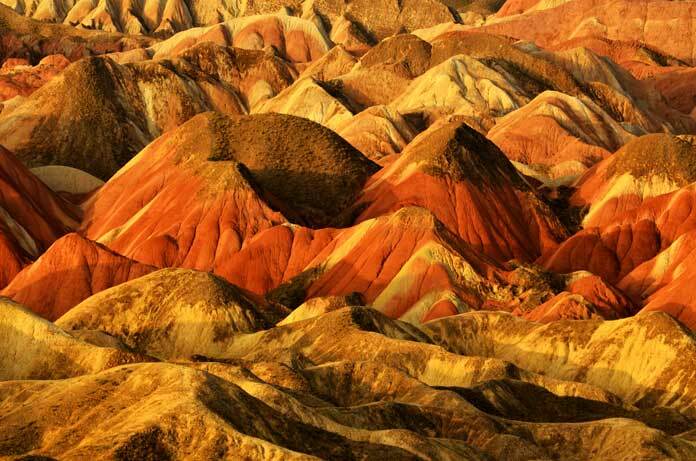 Zhangye Danxia Landform in China is one of the most beautiful places on earth you won’t believe exist. You don’t need to escape to a fantasy world to witness this Technicolor range. From afar, it will look like an original oil painting. 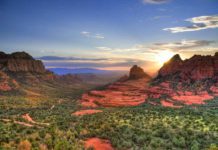 The landscape has a lot of multi-colored ridges and precipitous red cliffs. According to scientific research, for over 24 million years, different layers of colored minerals and sandstones were pressed in this region. Then, the tectonic plates of the earth buckled them up and formed this gorgeous “layer cake” formation. 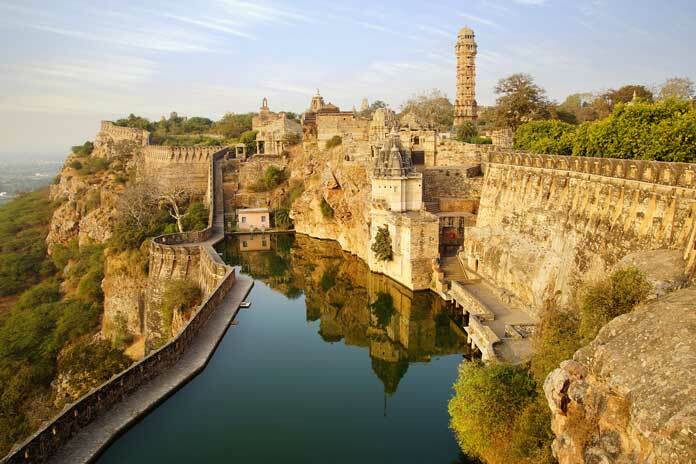 Popularly known as Chittor, the location of this fort is in Chittorgarh, India. It is one of the most massive forts in the entire country and declared as a World Heritage Site. The highly respected Sisodia clans took over this fort from Gulihot in the 7th century. They were the Chattari Rajputs of the Suryavanshi lineage. But after the blockade by Emperor Akbar in 1567, the fort was finally renounced in 1568. The best thing about this complex is that it sprawls majestically over the hill and from afar, it looks like a beautiful castle in the middle of nowhere. 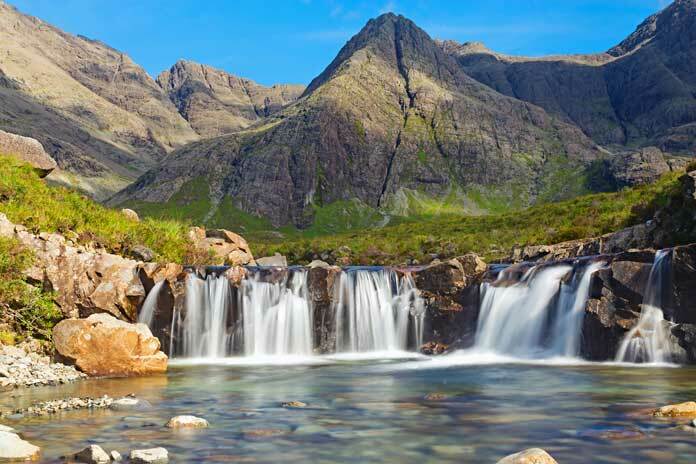 In the Isle of Skye, there’s an area where you get to see spectacular pools that entice visitors from all around the globe. Yes, you can swim in the pools, but the water is kinda cold. For visitors who are less adventurous, you can always opt for some fantastic photos session. The walk to and from the pools is suitable in most normal weather conditions. However, when it rains heavily, it can become a real challenge. The start of the walk to the pools is on the road to Glenbrittle, and Carbost is the nearest village, located in the West of Skye. On the North Island of New Zealand, there exists one of the most beautiful places on earth you can visit. 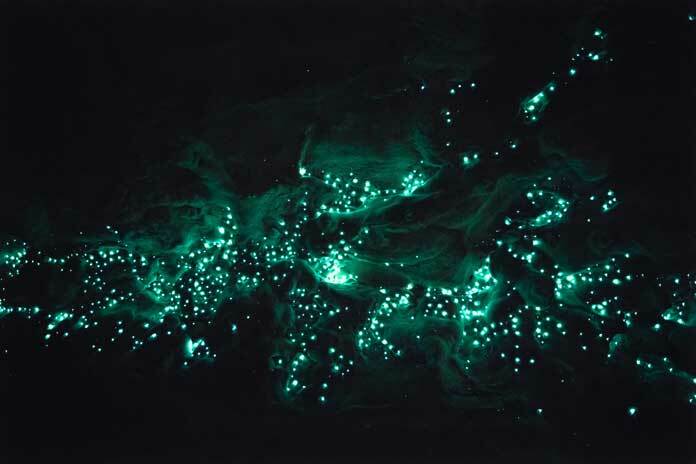 It’s called the Waitomo Glowworm Caves, and it’s famous for Arachnocampa Luminosa, a type of glowworms which is only found exclusively in New Zealand. The opening hours for the caves are from 9 am to 5:30 pm from Monday to Sunday. If you are looking for a fantastic place to visit, this is your must-see spot! In Banff National Park in Alberta, ten notable peaks crowned a beautiful valley. 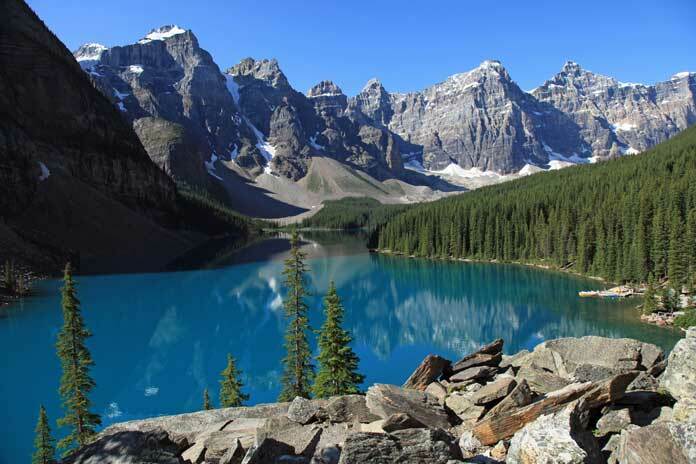 This area also includes the famous Moraine Lake. 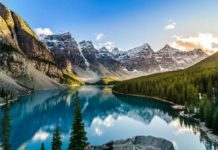 If you want to see the crystal clear blue lake with spectacular mountain scenery, you should head over to Valley of the Ten Peaks in Canada. The location is one hour west of Banff National Park, and ten minutes from Lake Louise. The area offers a lot of options for recreational activities such as paddling down to the end of the lake, renting a canoe from the boat dock, hiking or you can even stroll along the shoreline. 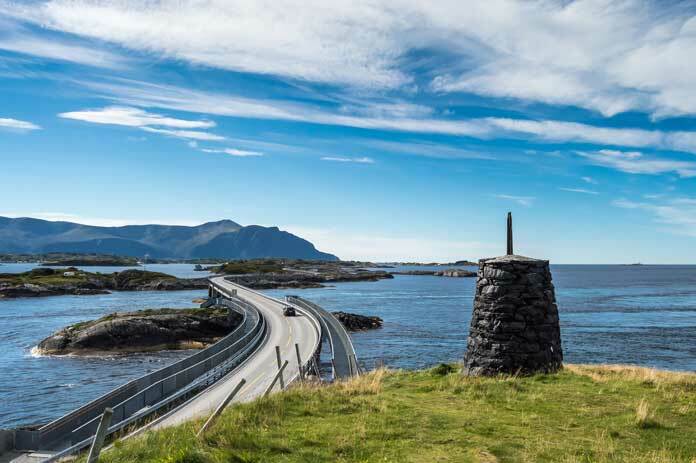 Constructed on July 7, 1989, the 8.3-kilometer long Atlantic Ocean Road runs through an archipelago in Eide and Averøy It’s one of the most scenic drives in the world, and it will bring you out to the farthest point of the country where the ocean begins, and the land ends. The road will give you the roller coaster feel and has phenomenal views. With a total of eight bridges and four viewpoints and resting places, you will have lots of opportunities to take photos and watch the fantastic environment around you. The road is classified as a National Tourist Route and is specified as a cultural heritage site. You want a scenic drive in Norway; you should drive along this road! 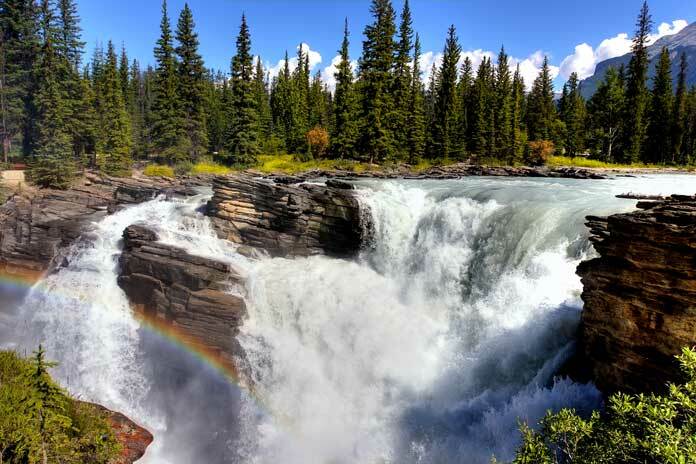 On the upper Athabasca River in Jasper National Park, there’s a fantastic waterfall called the Athabasca Falls. The force is unyielding even though the falls is not known so much for the height. You can stroll along the walking trails around the falls or take a photograph of this majestic falls. If you want to be a little adventurous, white water rafting is always available, and it starts below the Athabasca Falls traveling downstream to Jasper on the Athabasca River. 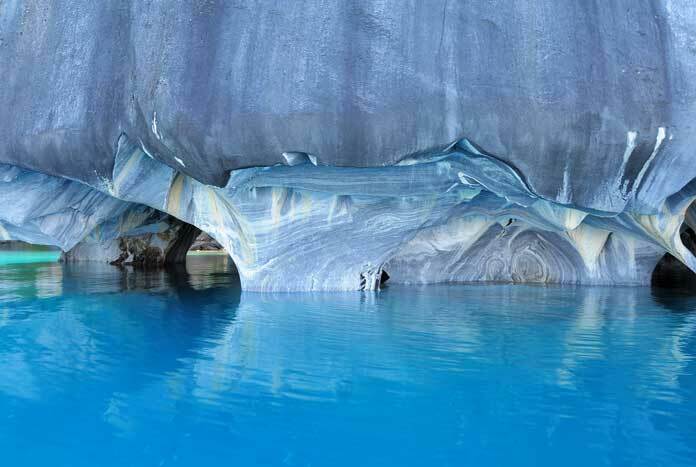 The Marble Cathedral in Chile is probably one of the most beautiful cave networks in the world. The reflection of the turquoise waters against the marble caverns shows us just how great the natural phenomenon on this earth can be. It is located in Lake Buenos Aires or also commonly known as General Carrera Lake, in Patagonia. Both names are internationally accepted because the lake is shared between Argentina and Chile. To reach this remote place, the visitors to Chile must fly from the capital of Santiago to Coyhaiquie, before driving 200 miles south to the lake on the challenging dirt roads. 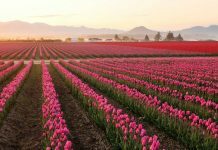 It is also well-known as the “natural classroom” for all amateur and professional photographers around the world, and it attracts international visitors each year. Our land is full of beautiful places and friendly faces. Everywhere you go, you will be awed by the beauty this nature has. 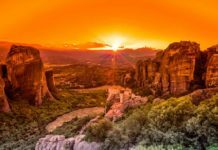 Make sure you put some of these most beautiful places on earth on your bucket list, because it will be a waste of time if you are not visiting some of these hidden gems.